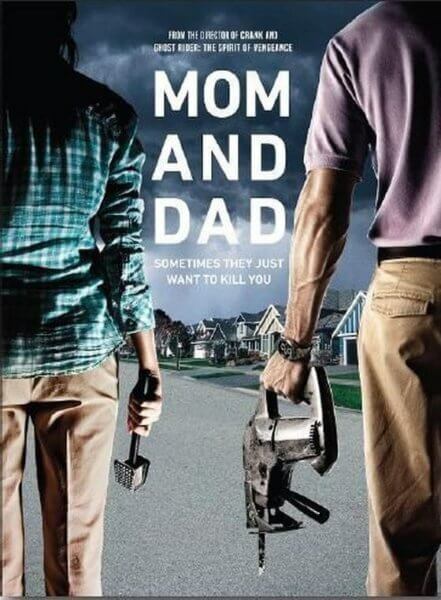 Momentum Pictures just released the official trailer and new poster for the dark comedy/horror film, Mom and Dad. The trailer features Nicolas Cage and Selma Blair as parents who turn violent and attempt to kill their own children. In addition to Nicolas Cage (Leaving Las Vegas, Raising Arizona) and Selma Blair (Hellboy, Cruel Intentions), the cast of the R-rated thriller includes Anne Winters (13 Reasons Why, #RealityHigh) and Zackary Arthur (Transparent, The 5th Wave). Momentum Pictures is targeting a January 19, 2018 release in select theaters, VOD, and Digital HD. The Plot: Nicolas Cage and Selma Blair star in this pitch-black horror-comedy about a worldwide mass hysteria where, for 24 brutal hours, parents turn violently against their own children.